We are hoping that we can get specific digital projector recommendations (either positive or negative) from users who actually have and use digital projectors for displaying still images. Not interested in theories or theoretical opinions, please. Our camera club needs to buy a digital projector asap and we would LOVE to hear from other users who have actual experience with digital projectors. Specifically, has anyone used the Canon Realis X600 with LCOS technology. It is supposed to be superb for this application, but we can't find anyone who has used it. If not Canon, what other makes/models can you recommend (from firsthand knowledge) or tell us to stay away from. Thank you! Any firsthand experience would be greatly appreciated. Please reply here, or email directly to the address below. I second that request. I need to buy a projector for camera club judging and I am not finding a lot of help out there. Color accuracy is important. Any suggestions? Our club uses an Epson Powerlite 740C Multimedia Projector, model EMP-740 which was purchased about 18 months ago. Every other month we have "digital projection" competition. At first our projector was driven from laptops of various club members but now we have our own laptop - a Dell Inspiron 6000. The projector is also used for monthly programs and sometimes for basic photo classes. This particular projector is OK but I suspect better ones are currently available. Our projected image always looks different - usually not as good - as the laptop display. However, this is true for every projection setup that I've ever seen with the possible exception (can't really remember making a comparison) of some huge systems. With our projector, it seems to me that some additional contrast, saturation and sharpening is needed in comparison to the laptop (or my personal monitor). Our system is color calibrated by eye only; we probably will address that issue now that we have our own computer. Our projector will display only images up to 768x1024 pixels. Our screen is about 8 feet square. We use Irfanview to display the images. We found it necessary to get a strong technical volunteer to manage the computer and projector consistently. Also, we had to "train" the club members on how to downsize, convert profiles, use jpeg compression, etc. Actually, we're still learning how to best do all this. 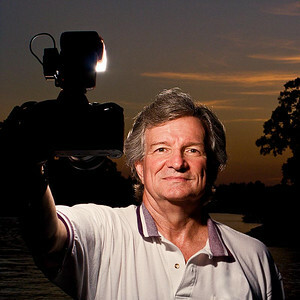 Some of our experiences and guidelines have been incorporated into the guidelines of the Gulf States Camera Club Council, http://www.gulfstatesccc.org/. In my professional (non-photo) life, I often use small digital projectors and a laptop. I was recently very impressed with a small unit from Infocus but didn't note the model number. Although very small, it seemed to project a very bright image. Our company has several small HP projectors, also about two years old, that seem OK but nothing special except that they are easier to transport than the older, larger Toshiba projectors. In my mind, the greatest disadvantage to digital projection at this time is when projecting an image in portrait orientation. In that case, the number of vertical pixels is limited to 768 and the horizontal often turns about about 512 or so. These images just aren't so impressive to me. Another disadvantage is in displaying panoramic images (we don't allow motion panning). I'm sure you'll enjoy the digital competition. It's a strange experience to see the image on the laptop, the same projected image and then look at 35mm slide projection (different set of images). The digital projection does not look as good as the laptop display but, the digital projection is more than adequate in comparison to 35mm slide projection. In fact, almost everyone in the audience prefers the digital images over the 35mm slides projection. I think this is because the digital images are usually sharpened, more contrasty and more color saturated. I know this conclusion seems counter-intuitive, especially since the projected display is only 768x1024, but after a while you are forced to conclude that the audience simply prefers the digital projected images.